Customs clearance is one of the most important steps in the process of export and import goods. 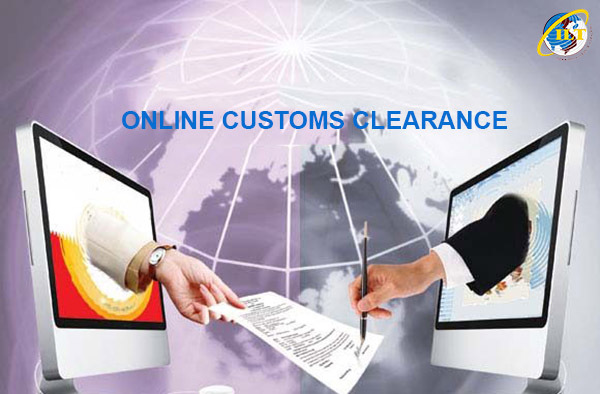 Customs clearance requires the flexibility and experience of staffs to be able to solve all issues and a modern equipment system to serve the clearance work quickly. Meeting needs of customers, ILT Customs Clearance Service is improved day by day and contributes to promote the company development. ILT has been recognized as the official customs clearance agent of General Department of Vietnam Customs since 2009 (see here). This is a solid background to affirm the position of ILT in the market and enhance customers’ trust when choosing ILT's customs clearance service. - Customs clearance services to import/export include FCL, LCL shipment with diversified goods such as clothes, fabrics, pharmacy, wine, drinks, equipment and machinery, automobile, fertilizer, or chemicals. - Perform customs clearance for all types such as: business, investment, temporary import and re-export or vice versa, processing, export production, samples, non-trade goods, bonded warehouse goods, aid goods, project goods, exhibition goods and transit goods. Depending on the different types of customs clearance, we guarantee all steps to be done quickly and safely (from the stage of opening the processing contract to paying off, from cataloging list of imported equipment and machinery to making a list of imported materials and accessories, and setting up the profile for import & export declaration). - Provide professional consultancy on appropriate customs declaration forms, cost and tax, applying HS code, C/O, import tax refund and other related policies for customers. - Making the procedures for applying for the quarantine certificate of animals, plants, and the certificate of food hygiene and safety. - Provide useful information on regulations of other countries from Viet Nam and provide customs clearance services at customers’ destination. - To be an official customs clearance agent in Viet Nam, ILT is allowed to name on the customs declarations on behalf of importers and exporters. - To be a multimodal transporter, we handle diversified customs brokerage service at all borders in Vietnam. Security: Information security is the most concern of enterprises when using outsourced services. If an enterprise cannot find a reliable partner, it is likely that the company's secret information will be leaked out, even for its competitors. Therefore, ILT dares to be committed to keeping secret 100% of information, business and customs transactions of the enterprise. Quality: Quality is the key factor to decide ILT’s success. Services quality is committed by a professional management system, a highly trained, active, and experienced team. We always meet every customers’ demand. Cost saving: ILT always attempt to find out the optimized solution to help customers minimize all expenses due to taxes and other service costs when declaring customs. Time savings: to be an official customs clearance agent, ILT specialists guarantee all stages to be done professionally, quickly, and effectively in any type of export/import. Goods is cleared fast, and is delivered on time. Information Technology: Investing in IT systems and developing the technical management team is the thing we always concern to maintain competitive advantages in the market. In addition to Customs Clearance services, ILT also provides a comprehensive supply chain solution that ensures a closed cycle of goods from the production place to the consumers’ hand. ILT is always associated with the success of the enterprises.